Looks like you picked a popular item! Sign up and get notified when it's back in stock. The beans for our Peruvian Dark Roast come from the Cuzco Province in the Quillabamba Region of Peru, which is located along the historic Incan Path that leads to Machu Picchu. Using natural and ecological processes, the small mountain coffee growers that dot this trail produce some of the highest quality coffee beans in Peru. Plantations located in the Quillabamba region are situated among the Andes Mountains and are subjected to extreme microclimate changes experiencing widely varying temperatures throughout the day. Surprisingly, it is these extreme conditions that give the coffee beans harvested there a remarkable flavor. The beans that make up our Dark Roast blend are 100% Arabica beans, which are known to be more fickle and susceptible to disease and climate changes. For this reason, coffee growers must keep a watchful eye over their crop. To ensure the highest quality crop, we have worked exclusively with growing cooperatives since our entrance into the Peruvian coffee market in 2004. Since then, we have maintained a strong relationship with COCLA. Made up of 23 co-ops, COCLA ensures environmental responsibility and good agricultural practices, with a focus on strengthening the local economy. The organization's commitment to a high-quality product mirrors our own, which has helped us maintain such a strong relationship over the past 10 years. For this blend, we dark roasted the beans to allow the naturally occurring oils to rise to the surface, resulting in a bold, characteristically Peruvian coffee flavor. You will also note a deep, rich honey flavor and exceptional body. 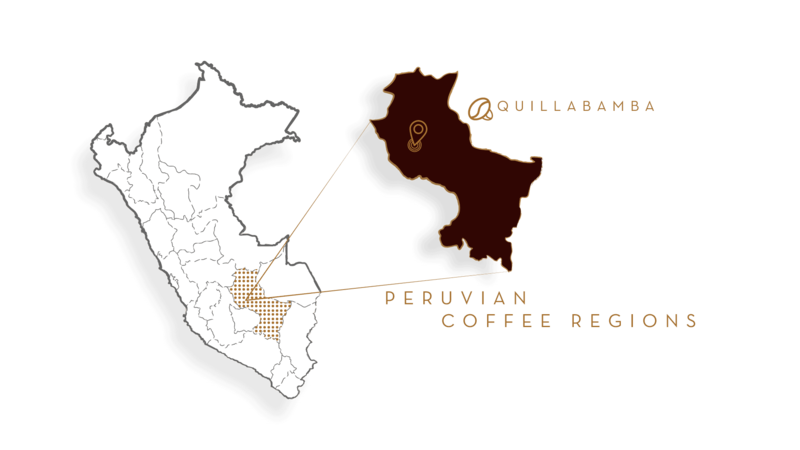 Appropriately named "Pachamama", meaning "Mother Earth" in Quechua, a language commonly spoken in Peru, this organic certified blend of beans comes from the Convencion Valley of the Quillabamba region of Peru. These beans are grown in the shade of native trees and cultivated using the natural nutrients found in the region. This cultural method of coffee harvesting preserves the natural flora and fauna and guarantees the supply of pure water and fertile soil for future generations of small farmers. We purchase these beans from two small organic certified farmers cooperatives, which together only produce around 150 tons of beans per year. They are certified organic by international organizations such as the USDA and meet strict cultivation and harvesting guidelines set by these organizations. This blend is medium roasted for a full flavor and body. You will also note a pronounced aroma of fresh wood and flavor hints of herbs and nuts. This blend of specialty coffee beans comes from Valle Sagrado, or the "Sacred Valley" of Peru, which follows the Andes Mountain Range from Quillabamba to Ollantaytambo. The area's coffee growers form part of generations of coffee-growing families that have specific traditions of coffee cultivation, drying, and milling. We buy the beans for this blend exclusively from small farm cooperatives around Cuzco to maintain a consistent flavor throughout the cup. You will note a distinct aroma of plum and apricot, as well as a natural sweetness with woody undertones in the taste.